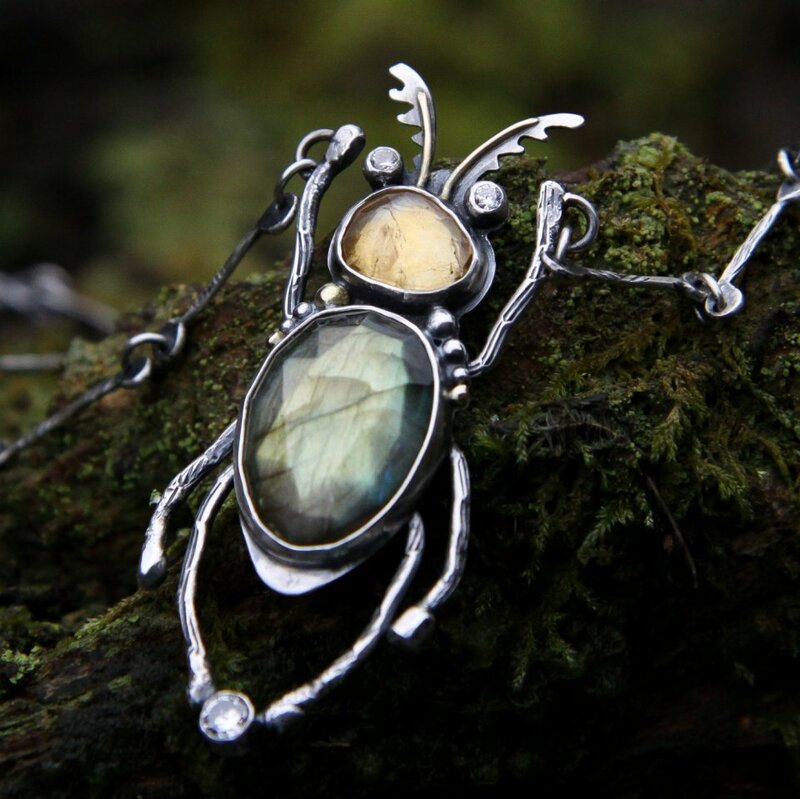 Pagette Jewellery is a collection of handmade sterling silver jewellery. Pagette Jewellery is available to purchase on-line through this web site's shop. My studio is nestled in the West Sussex country side. In spring and summer I enjoy watching the country side come to life. I take a lot of inspiration from nature and the organic forms of vegative growth. The burst of spring growth followed by the lush green of summer, is my favourite time of year to find new shapes that can be explored in silver. The studio is divided into two sections. 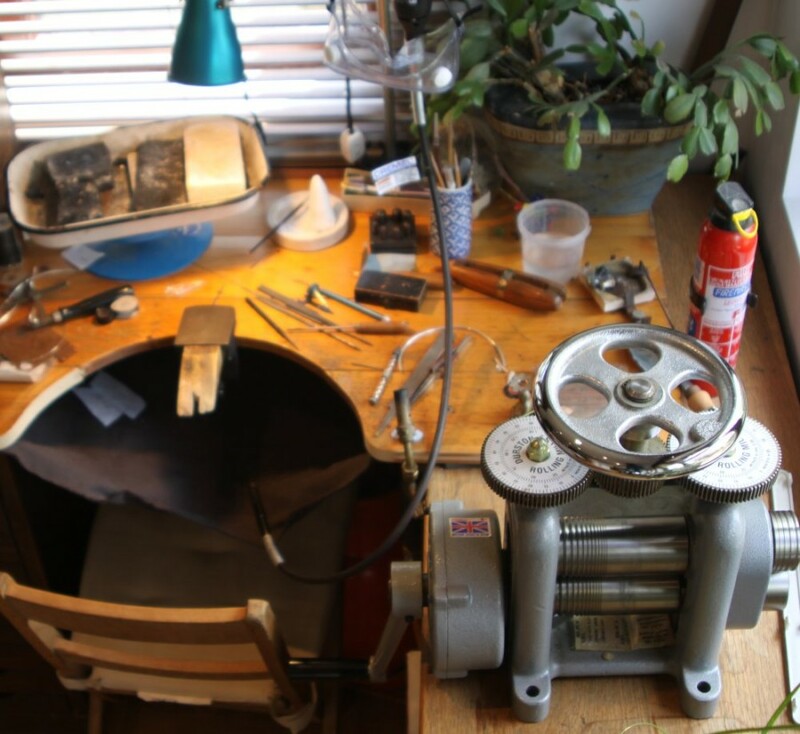 I have a traditional jewellery workbench area. This is where all the silver metal work is done. I carry out forming, shaping, casting, milling, texturing, soldering and any other traditional metal work. It can get a bit dirty and messy with the various processes. The second area of the studio is set up for finishing the jewellery. 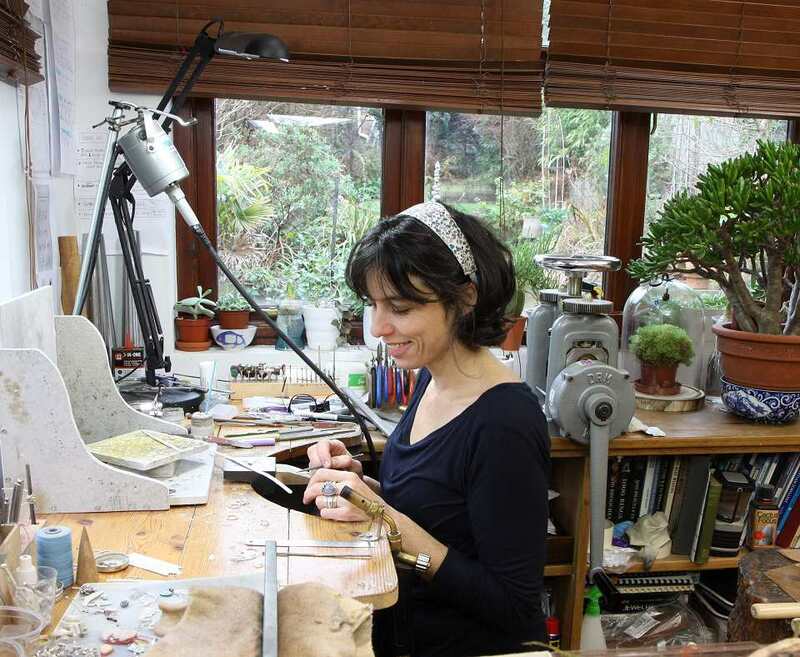 This area needs to be kept clean and clear of any metal fillings or other wastes from the Silver Jewellery bench. Stringing, beading or assembly of finished components is all done here. I also keep all the pearls, beads, gem stones, threads and other treasures in this area. I usually have 4 or 5 projects on the go at the same time. I like to move from one project to another as my mood suits or the processes require. For example if I need to wait for something to dry I can always move onto another waiting piece. I am always learning, discovering new materials and new techniques. I am forever being inspired, always changing how I approach an idea, always looking to create jewellery that is unique and beautiful to wear. With a few interruptions along the way, I have been happy making jewellery for most of my life and will continue to do so.